I saw this along time ago but haven't yet posted about this range. I really like it but have only bought the brads as I couldn't resist and I imagine the rest will be reduced after the Olympics or the Jubilee celebrations. I love the yarn colours too but I have the last set I bought and haven't had the chance to use them even though I have so many ideas. 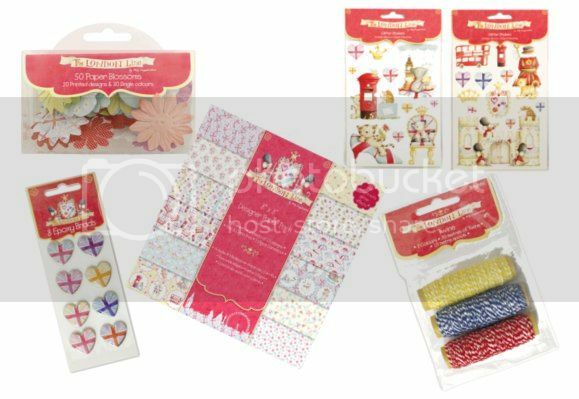 Its great having all the options of the wonderful ranges of craft items available right now. Have you seen anything nice lately that you'd like to buy? Thats the downside to everything....money! I think its like that with a lot of thing as we might not get why someone likes a certain celebrity etc... It just depends on what you're passionate about.